There’s nothing better during the holiday season than a delicious cocktail. And we love finding new and creative drinks to make, especially this time of year. Whether you need something for a Christmas party or a just a cozy evening at home, our roundup has a little something for everyone. Let’s get merry with these cheery Christmas cocktail recipes. Feeling festive? 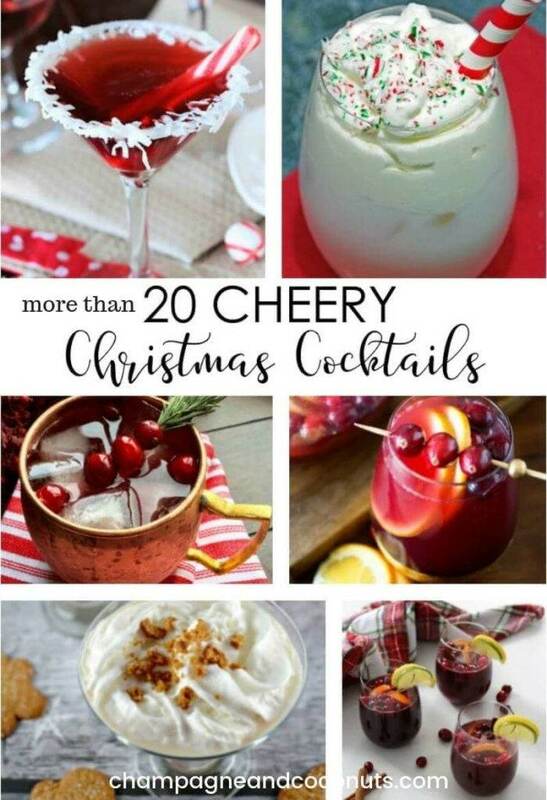 It’s time to get merry with these delicious, cheery #Christmas #cocktail recipes! These Christmas Cocktails include all the flavors of the season, from cranberries to gingerbread. There really is a cocktail for everyone. Some of these recipes are particularly perfect for Christmas and not only taste delicious but really look nice and Christmas-y too! Others are great to serve during the winter and include flavors and ingredients that make perfect Christmastime cocktails. We’ve selected everything from sangrias to punches to signature cocktails so that you can have a great time selecting some delicious drinks. Whip a few of these up to make the season just a little merrier. Be sure to bookmark your favorites and come back for even more holiday drink recipe inspiration. We often add more to the list as we find more delicious drinks to share. Let’s make some festive holiday drinks! 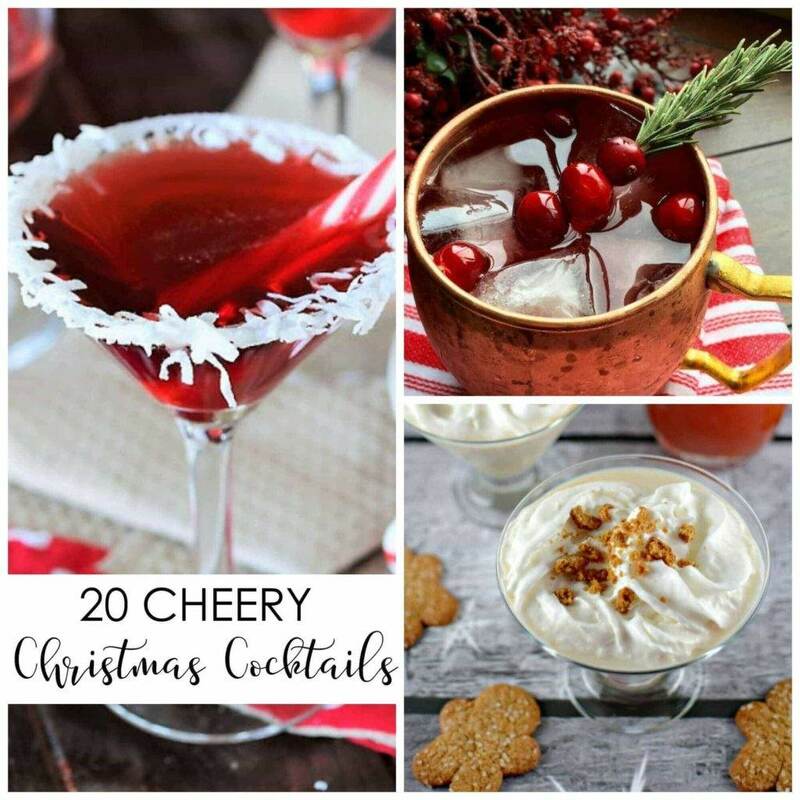 Enjoy a variety of signature #Christmas cocktails as well as sangria and punch #recipes on our Cheery Christmas cocktails recipe roundup. 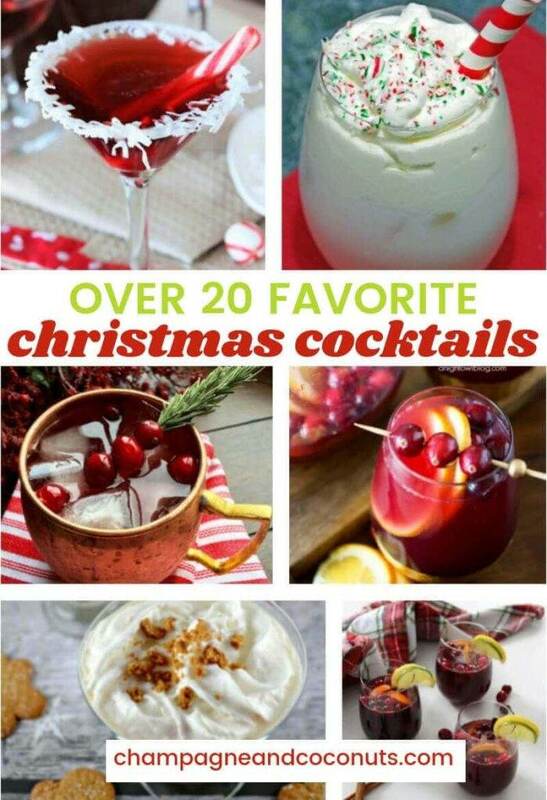 Please let us know how you enjoy trying some of these great Christmas Cocktail recipes. If you make one yourself, please let us know on Pinterest that you tried it and tag us with #champagneandcoconuts on your Instagram photo. If you haven’t had a chance to make it yet, be sure to save the recipe on Pinterest so you’ll remember where you found it. 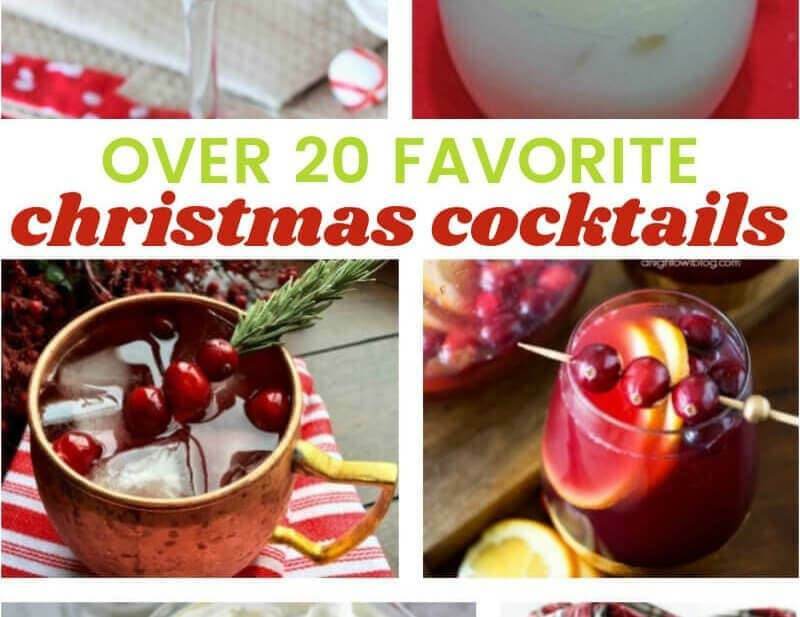 You may enjoy following our Pinterest Boards, Holiday Cocktail and Mocktail Recipes, and Christmas Cocktail and Mocktail Recipes. Disclaimer: Never use blogger photos without permission. The Virtual Assistant (Sarah) who prepared this post obtained permission to use the photos included in this article from various Facebook Roundup groups. Links were submitted by blog owners/representatives and are being used in accordance to the group rules.